Medicaid, an insurance program for low income persons, pays for non-medical home care, home health care and other in-home supports to help individuals remain living in their homes. However, Medicaid rules are state-specific and therefore eligibility and benefits change in every state. When Medicaid provides care outside of nursing homes, it is referred to as Home and Community Based Services (HCBS). HCBS can be covered under Regular Medicaid, often called State Plan Medicaid, or under Medicaid Waivers, also called 1915 Waivers or HCBS Waivers. Regular / State Plan Medicaid is an entitlement program, but waivers are not entitlements. A limited number of slots are available and waiting lists are fairly common. Most states cover home care for the elderly (both non-medical and home health) in both their State Plan and their waivers. There are many misconceptions around Medicare’s benefits for home care. Medicare does not pay for non-medical care, period. Therefore, assistance for non-medical care provided in the home is not covered. Medicare Supplemental Insurances cover Medicare co-payments and deductibles but do not add new areas of coverage. Therefore, these policies are of no assistance for non-medical home care. As of May 2017, all 50 states and D.C. have at least one program that provides assistance to elderly individuals living outside of nursing homes, be that at home, in adult day care or assisted living. Most states offer multiple programs. Does Medicaid pay for home care for aging individuals? The short answer to this question is Yes. However, to better understand how and when Medicaid’s home care benefits apply, it is necessary to provide some background information on what Medicaid is and how it works. Funds for Medicaid come from both the federal government and the individual state governments and as such, the rules governing Medicaid also come from two sources. The federal government sets certain standards but gives the states considerable flexibility with regards to the services they provide. This is especially true in the area of home care. A second complication to understanding Medicaid’s home care benefits is that within each state there are multiple Medicaid programs that offer different home care benefits. States have a “Medicaid State Plan”, sometimes referred to as Regular Medicaid and they also have “Institutional Medicaid” (which by definition does not cover home care) and there are Medicaid Waivers which are offered as an alternative to Institutional Medicaid. These are sometimes called Home and Community Based Services, HCBS Waivers, 1915 Waivers or Demonstration Projects. Medicaid State Plans (Regular Medicaid), in most but not all states, will pay for home care in the form of Personal Care Services (PCS) or Personal Attendant Services (PAS). 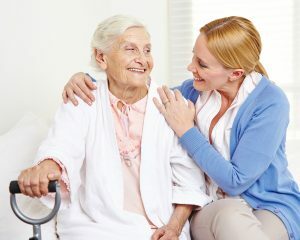 Institutional Medicaid is provided in long term care institutions (nursing homes and intermediate care facilities) and therefore does not pay for home care. Medicaid Waivers, which are offered as an alternative to nursing homes, pay for home care and often pay for other related in-home support services to help the elderly remain living at home. In Virginia there is a Medicaid waiver called the Elderly or Disabled Waiver with Consumer Direction. Under this program participants can receive a variety of home care services such as personal care, adult day care, respite care as well as other forms of assistance. Most of these services can be self-directed should the participant choose to do so. Also worth mentioning is the Technology Assisted Waiver as it helps to pay for technology that enables an individual to continue living independently at home. Home health care, on the other hand, when considered medically necessary is covered, at least in part, by Medicare and other health insurance programs. However, Medicare severely restricts coverage to only those individuals who are “homebound”. This is defined as persons who require assistance (by human or medical equipment such as wheelchairs) to leave their homes. Alternatively, persons who health may be worsen by leaving their homes are also eligible. 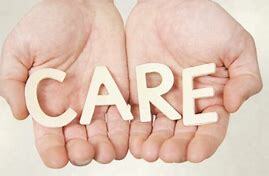 During home health care visits, Medicare will not pay for any personal care that is provided during that visit. Visits tend to be brief and procedural in nature. The exception to the limited home care rule are Medicare PACE programs. However, these are available only in limited geographic areas. There are several forms of assistance from the Department of Veterans Affairs that help veterans afford home care. This may be direct financial assistance or care services that can reduce a veteran’s overall need. To start, there are three different pension benefits which can be applied towards home care. Individuals who require more care are eligible for higher benefit amounts. These are the Improved Pension, Homebound and Aid and Attendance. Eligibility requirements and benefit amounts are available here. Veterans can also get care assistance through Veterans-Directed HCBS, a relatively new program that allow for self-direction of services and the VA Respite Care which can reduce the home care hours a veteran requires. Most states have in-home assistance programs for low income seniors who are not eligible for Medicaid. These programs are intended to prevent or delay the placement of needy individuals in nursing homes and are loosely referred to as “nursing home diversion programs”. Eligibility, benefits and even sources of funding varies with each program and some states even have more than one program. As an example of the diversity, some of these programs provide cash assistance, others provide care services and respite and still others provide non-care based, in-home support such as assistance with chores, meals and transportation. Assistance with adult day care and assistance for home modifications to enable aging in place are two other approaches the states use to help. The common thread amongst all of these programs is that they help seniors remain living at home or help families to care seniors in their homes. Please follows the links below to read about specific programs in your state.